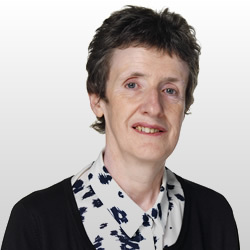 Our Principal Clerk is Sheila Westwater who heads up a team comprising herself and two Deputy Advocates’ Clerks, Christina Ballantyne and Debbie Dawson (Jane Morrison is currently on maternity leave). These three work together, meshing their respective experience and talents. Like our members, they are committed to Westwater Advocates and have a thorough knowledge of the strengths of each of our Advocates. They can be relied on to offer sound advice to help in your selection of a suitable Advocate to meet your needs. In order to offer the best advice, their recommendations will not always be restricted to members of Westwater Advocates if availability or other factors indicate that counsel from another group might be a suitable recommendation. We encourage the agreement of fees in advance. The clerks are happy to provide fee quotations and to discuss and agree timescales for any work. Fees quoted will always be competitive for the work involved and the quality of the advice and representation on offer. Sheila, whose name the stable bears, has been the clerk of her own stable since 1991. She has in that time built up a collection of counsel who highly value her efficiency, reliability and unstinting dedication to providing our users with the best possible service. 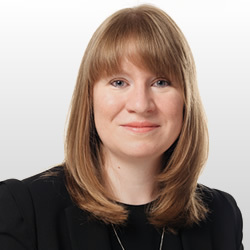 She has led her team with energy and humour, synchronising the individual talents and qualities of each to produce a team that meets the needs of clients, instructing solicitors, direct access bodies and counsel alike. When the opportunity of devolution arose, the Westwater Stable decided to devolve as a whole, primarily to help ensure the continuity of that service. Although she is the leader of the team, she is accessible to be approached directly in relation to any matter that may arise in the course of instructing any of our counsel. Christina has devoted her considerable skills and energy to Faculty Services since 1983, when she joined the accounts department to deal with all aspects of fees and accounts. She then spent ten years in the credit control department dealing mainly with the difficult but necessary matter of civil legal aid accounts. Having had opportunities to assist some of the other stables in a clerking capacity in the 1990’s, Christina found the job to which she is ideally suited, as Deputy Advocates’ Clerk in the Westwater Stable where she has become an essential part of our clerking team. Christina is always at hand to listen, understand and action. Debbie joined the stable as Deputy Advocates’ Clerk in January 2019 covering Jane’s maternity leave. 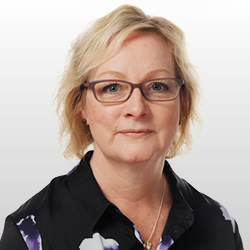 Debbie is a familiar face and voice to many having worked for Faculty Services Limited since 1991, previously within the Credit Control and Data Operations departments and for the last 3 years she has worked with various stables in a clerking capacity. 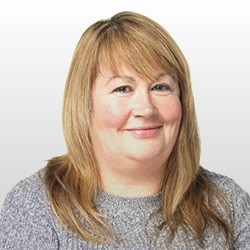 Debbie is efficient, approachable and reliable and a very welcome addition to the Westwater Clerking team. Jane has been our Deputy Advocates’ Clerk since January 2011, which already seems a long time ago. She very quickly became a key ingredient of the Westwater Advocates clerking team, bringing with her that rare combination of cheerful service and no-nonsense efficiency. Jane has an honours degree in English Literature and Classics and previously worked as an administrator in accountancy and surveying firms.